In this email marketing guide covers topics that help you tie the pieces of your email campaigns together. In the upcoming chapters, we will discuss about what makes email marketing so special. We will also see what elements to optimize to create an email that converts well. There is a full chapter dedicated to success strategies in email marketing. Apart from these topics, we will also shed some light on two very important accompanying contacts for email marketing: Value Ladder and Landing Pages. In Chapter 1 of our Email Automation guide, we have covered the very basics of how you can market using emails. We also covered more topics describing the process, tools, and important factors of email marketing. Since we already know the basics by now, let's focus on why email marketing has acquired such an esteemed status among the varied techniques available to marketers. Email marketing has grown leaps and bounds since the first such blast was sent in 1978. Now email is one of the primary ways to share content with users and to push marketing offers. The reason for the popularity of email becomes quite clear when you look at global email usage statistics. In 2017, the total number of email users rose all the way up to 3.7 billion (that’s almost half of the 7 billion people that populate planet Earth!). The email also performs better than other contemporary online media. According to a survey by DMA and Demand Metric, email returns up to 122% of your investment. This is more than 4 times the traditional online media such as social media and paid search. The density of email usage is not the only reason why email marketing is so popular. When a customer voluntarily opts into your system, he/she is more interested than when receiving unsolicited ads on social media and search result pages. 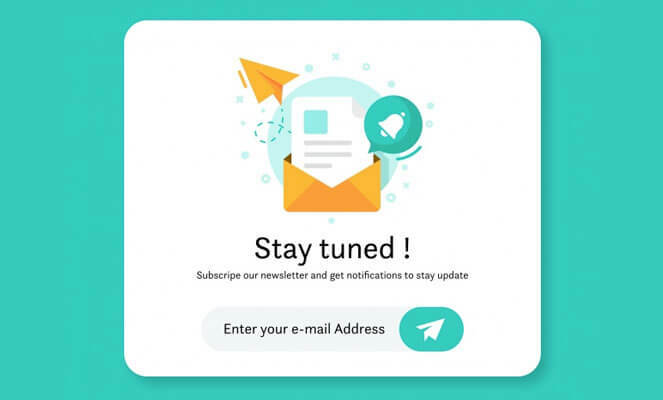 If you have heard the term “email marketing” and want to know more about what it means and how to use email marketing, then this is the right place.